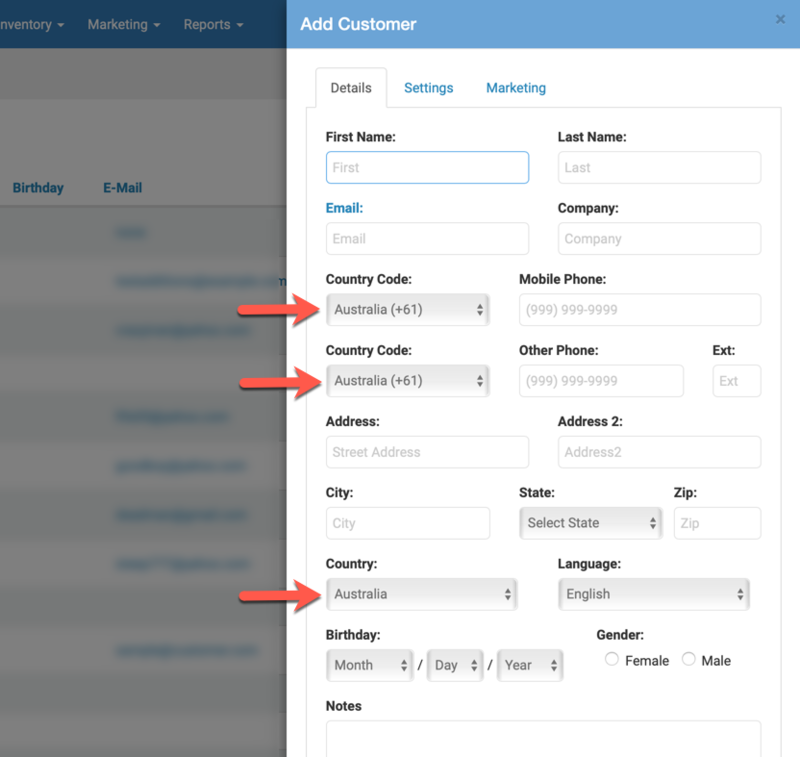 When adding a new customer, we now default country and phone number country code to whatever is configured in the store address in the system settings. 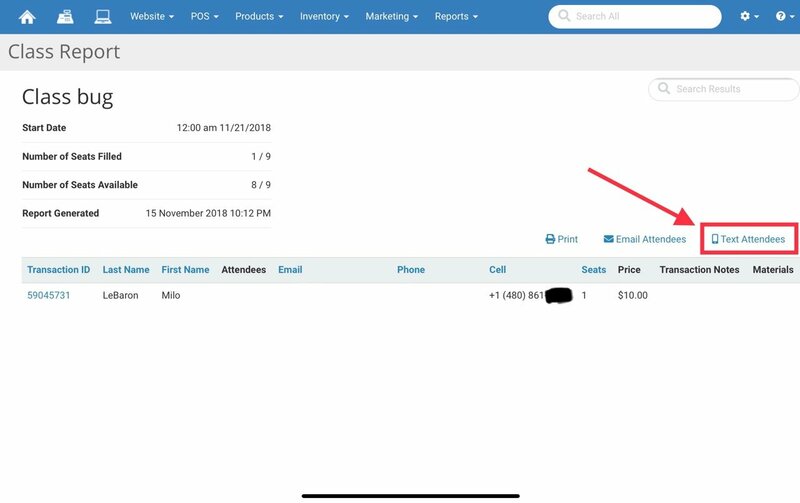 Similar to how you can email a list of attendees who are registered for a class, you may now text them as well, if you have text messaging set up in the system. Attendees must have a valid cell phone number to receive a text. The bulk editing spreadsheets have been updated to use the recent change to how manufacturers are assigned to products. Before, you had to assign an ID which was associated with a manufacturer. Now, you simply type the name of the manufacturer in the spreadsheet, and the upload will assign that value to the product. You may add new manufacturers or use existing values as needed. 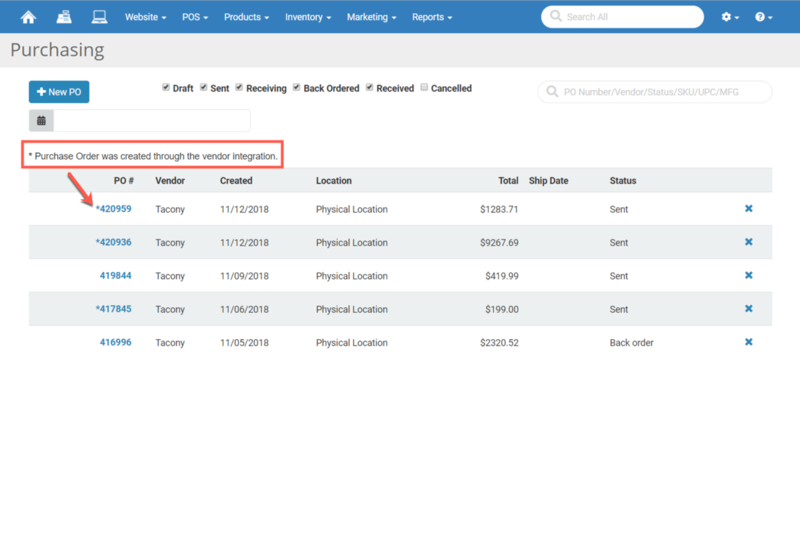 On the main Purchase Orders page, we added an asterisk next to Purchase Orders that were created through the vendor integration (currently in beta). This will help stores more easily identify these PO's. 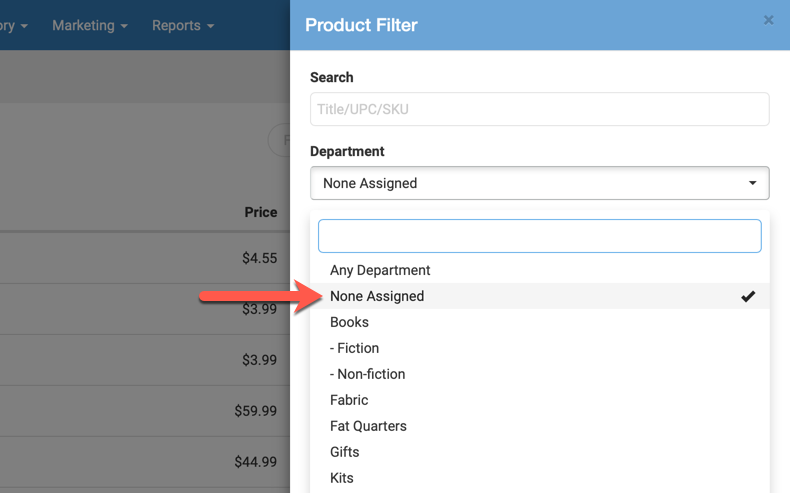 Added the ability to filter products on the Product List page based on not having any department assigned. This will help you easily identify products you might need to add to a Department. Fixed an issue where a single special order product was showing as being received on two separate lines within the receiving order. The duplicate line item within the Receiving Order would show a quantity of 0. Fixed an issue where specific coupons were over-discounting products by a large margin. Fixed an issue where the short description that shows up below the Add to Cart button would not display with the enhanced option view. Fixed data from a past bug in which tax was being double-collected in some cases. The over-payment from customers was totaled and applied to their next payment. Fixed an issue where creating a new gift card that had a similar number to an existing one would load the existing card. We slowed down the search so people have enough time to finish typing the number before we look for matches. Fixed an issue where changes made to product availability through the bulk spreadsheets were not updated even though it stated a successful upload.